A large crowd waits anxiously and the tension and excitement pulsates through the night air. There is a stage blazing with neon pink lights as teenage girls anxiously hold their breath, waiting. A scream pierces the air, and everyone explodes as they see The 1975, also known as the indie band that catapulted its way into the spotlight with two number one albums. 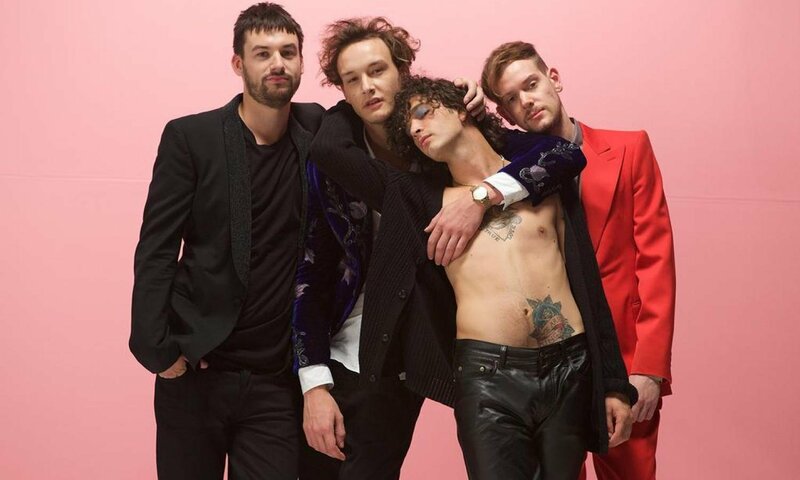 Matty Healy, Adam Hann, Ross MacDonald, and George Daniel’s fill-in Dave Elitch (due to a broken shoulder) swagger out into the open, decked out in black skinny jeans and ripped clothing ready to amp up the audience with songs from their second album. 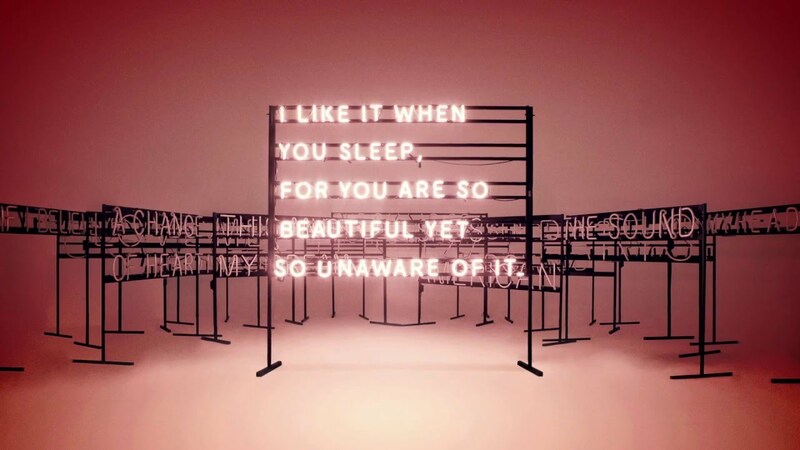 It’s this kind of wild reaction from fans that put the pressure on the band to live up to the success of their first album as they worked on their follow-up, I Like It When You Sleep, for You Are So Beautiful yet So Unaware of It (2/26/2016 via Dirty Hit / Interscope).The 1975 gives off the rockstar cliché of not caring if people enjoy their music, or about their fame. They have artfully perfected the “cooler than you” vibe which can be attributed in part, to their well-known clean cut aesthetic. But with each carefully crafted song one can easily tell that their “image” could not be further from the truth. I Like It When You Sleep, for You Are So Beautiful yet So Unaware of It sounds like the title of a poetry book, and in a way, it is. The 1975 have navigated into new territory with their second album, and left listeners in an ambient, colorful transcendence. This then builds into a whirlwind of quirky 80’s disco-infused, glittering funky pop with a splash of synth-y indie rock. The record is bold, brash and is a weird mishmash of sounds that absolutely shouldn’t work together. But the ability for the oddities to blend is a musical symbiosis that gives the record its strength. There is something for everyone, from electro ballads to gospel pop, making for a fulfilling end result: an album that is fervent and impulsive, yet controlled. Healy, Hann, Macdonald and Daniel have lived up to their artistic ambitions to make songs that mean something, in terms of society, art, love and life. The record cycles through themes of elation, insanity, despair, and cocaine-fueled psychosis, with each track bursting out of the minds of a band who has put everything out on the table. The introductory track is an instrumental awakening that sounds like M83. The words midnight and car light, echo over the track, magnetizing the listener and entrancing them into an ambient state of calm. It’s as if the band is saying goodbye to their “too cool” vibe and embracing the future. “Love Me” could have been something straight out of Back to the Future. At first listen, I did not enjoy the track. I found it so drastically different from the last album it did not sit well. I couldn’t seem to stomach the fuzzy, David Bowie-esque funkiness. But after a few more rounds, it became pleasantly addictive. That instantly catchy guitar solo is enough to pull even the most shy listener out onto the dance floor. Seeing Healy dance to the tune itself completely changes the perspective. He sways back and forth, whipping his tousled mop of curls with a flair and finesse that triggers a magical hypnosis over the audience. You just want to jam out with him, and open yourself up to letting go of any fears of looking silly. It possesses the cheeky and ever cynical outlook that the band has always articulated through their music, as they groove through their way into new territory in a spectacular fashion. A song like “UGH!” demonstrates the band’s uncanny ability to make addiction sound positive and upbeat. They romanticize the entire consumption experience. Energy radiates through every beat, and the song’s true essence is captured in the live performance. Every twirl and hand flourish of Healy brings the band closer to something otherworldly. However, now the city is a place of disappointment and crumpled dreams with pieces of two hearts littered along the sidewalks and stuck in the cracks of the pavement of everywhere they walked along when they were still in love. “A Change of Heart” sums up in basic terms, that sometimes there isn’t a clear reason as to why you don’t want to be with someone anymore. The band tackles this purely with simple three-note repetitions to fully express the directness of moving on. The use of the saxophone takes the track a step further than past songs like “Girls” and gives it a new twist. The band slows things down on this song, which has sultry undertones that weave in elements of smooth R&B and mellow jazz. It makes for easy and relaxed listening as Healy sings to the heavens asking for a higher power to answer his questions to the universe. The desperation in the lyrics doesn’t quite translate to Healy’s calm vocals, as he grasps at a glimmer of meaning. He pleads with a higher power to show him who he is. He navigates his way through a choir that makes the song even more ethereal with the orchestral voices that lighten and carry the melody. Healy also explores his sexuality, coyly tiptoeing around the question of his religion and the existence of God. He leaves just enough to make the listener wonder, but he himself can’t find an answer. This is the fist purely instrumental track. It sounds like ocean waves flowing over a piano. It doesn’t aim to yearn for an exposure of the body. Instead, the nakedness the band wants to convey is an unveiling of the mind and soul. To be naked is to be honest and pure and open in every aspect of life and the song grabs you and beckons you to be open to that message. “Lostmyhead” is an instrumental-heavy churning mix of confusion. Healy takes listeners with him as he explores his struggle to find his psyche, and as he flounders in one of the lowest points on the album, the instrumentals have a calming effect that allows little rays of light to seep in. The explosive ending serves as the perfect dark segue into the next track. Perhaps it is not a coincidence that this song comes right after “Lostmyhead” but rather an extension of the track in full capacity. The song begins with a clear burst of passion as Healy declares he’s gone mad. Over echoing ooh’s and ah’s that reverberate and add depth, the song gives off the impression of being bigger than itself. As it nears the end, one can feel as though the band has become fully submerged in their own minds to the point of finding sanity in the madness. They expertly manipulate the sound to trigger an emotional numbness. If you haven’t had the pleasure of seeing “Somebody Else” performed by the band live, there’s a missing aspect to experiencing the track to the fullest. The song straightforwardly addresses jealousy as that churning, aching pit inside all of us that swallows us up when we see someone who we deeply care for with someone new. It still is able to maintain an upbeat but hollow melody while being danceable all the while. “Loving Someone” is a lot like the feeling you get when you inhale deeply and then all at once, just let your breath go and feel completely content. It’s a mellow song that serenely carries you along. Healy sings and raps about the youth culture of today, detailing the messiness of a world in which we have knowledge about everything at our fingertips but instead are fed leaders and pop stars who lack meaningfulness. That they matter, Who are they gonna batter next? The song is a statement that plainly describes the obvious, but other pop groups have yet to take a stand to say anything. It’s been left to the rappers to address it and now the band is bringing the conversation back into the spotlight. This beautiful instrumental track is like slowly drifting into a trance and becoming hypnotized by the purity of hearing all the pieces in the puzzle come together. The title is derived from a quote directed at Healy’s then-girlfriend at the time. The most upbeat and explosive track on the record by far, “The Sound” is pure pop euphoria, seamlessly weaving together the ’90s and the present in a bubblegum world brimming with ease and happiness. This is the track that was meant to be badly danced along to at weddings and contrasts with the rest of the album drastically, but it’s pulled off with as much passion and gusto as the guitar solo towards the end of the song. In all of it’s Don’t You (Forget About Me) glory, “This Must Be My Dream” appears to be about chasing a girl, but instead it amounts to sugar-coated heartbreak. It is lyrically blunt-as pretty much every 1975 song is-and makes for a funky art-rock song. A song that perfectly encapsulates what it means to go back to a time when things were easy and carefree. Looking through rose colored glasses, Healy examines when life revolved around a constant intertwining of love and drugs. He explains how both he and his lover are equally messed up. Paris is when things were better. It is a romanticization of the past. What she wants is the opulent life pictured in magazines, while Healy is yearning for the basics. The tug of war ensues and we are left in the band’s limbo. F. Scott Fitzgerald once wrote “So we beat on, boats against the current, borne back ceaselessly into the past,” and nothing could be more true of what “Paris” conveys. From the very first pluck of the guitar string, one can be shocked by the beginnings of a stripped back song about death. Touching again on religion, the band focuses on a theme everyone can relate to: missing someone. Things are never the same and most of the time, we always want the best for the person who has passed on. This is made clear with melodies that ebb and flow along with Healy’s serene vocals. You can truly feel what he’s feeling. It’s so pure and honest it strips you down and pulls on your heartstrings, making you understand the feeling in the music. The ballad is about Healy’s mother’s postnatal depression; a topic It recognizes the band’s gift of being able to take something painful and shape it into something sad but beautiful; each note is melancholic. In terms of style, it’s comparable to the likes of Bob Dylan. By closing out the album with such a song, the band has managed to craft something that matters. It’s a track that you can laugh and dance to, to cry and hold close to you the ones that you love, to melodramatically get caught up in the garbled up beautiful mess that it can be at times. This album has shown everyone that The 1975 know what everyone thinks of them, and they aren’t afraid to break the rules. The toughest critics of the band are the members themselves and it’s clear to see they put out the most avant-garde, in-your-face art album they could muster. It aims to strike where you least expect it. It’s a record that is raw and real, right down to the very core. If that wasn’t enough, one has to remember I Like It When You Sleep… is only the band’s second album. The 1975 continue to grow, manifest and shape-shift like the true musical chameleons they are, and it’s safe to say that listeners can continue to perk up their ears and follow them on their journey every step (and song) of the way. 20162016 New MusicA Change of Heartalbum reviewAtwood Magazinedirty hitI Like It When You Sleep for You Are So Beautiful yet So Unaware of ItI Like It When You Sleep for You Are So Beautiful yet So Unaware of It album reviewI Like It When You Sleep for You Are So Beautiful yet So Unaware of It meaningI Like It When You Sleep for You Are So Beautiful yet So Unaware of It reviewIf I Believe YouILIWYSFYASBYSUOIILIWYSFYASBYSUOI album reviewILIWYSFYASBYSUOI The 1975Indie PopIndie RockInterscope RecordsJune 2016LostmyheadLove MeLoving SomeoneMusicNanaNewNew MusicOur takeParisPlease Be NakedreviewShe Lays DownShe's AmericanSomebody ElseThe 1975The 1975 A Change of HeartThe 1975 A Change of Heart meaningThe 1975 A Change of Heart song meaningThe 1975 I Like It When You SleepThe 1975 I Like It When You Sleep 2016The 1975 I Like It When You Sleep albumThe 1975 I Like It When You Sleep album reviewThe 1975 I Like It When You Sleep for You Are So Beautiful yet So Unaware of ItThe 1975 I like it when you sleep for you are so beautiful yet so unaware of it meaningThe 1975 I like it when you sleep for you are so beautiful yet so unaware of it song meaningThe 1975 I Like It When You Sleep meaningThe 1975 I Like It When You Sleep reviewThe 1975 I Like It When You Sleep song meaningThe 1975 If I Believe YouThe 1975 If I Believe You meaningThe 1975 If I Believe You song meaningThe 1975 ILIWYSFYASBYSUOIThe 1975 ILIWYSFYASBYSUOI album reviewThe 1975 ILIWYSFYASBYSUOI meaningThe 1975 ILIWYSFYASBYSUOI reviewThe 1975 LostmyheadThe 1975 Lostmyhead meaningThe 1975 Lostmyhead song meaningThe 1975 Love MeThe 1975 Love Me meaningThe 1975 Love Me song meaningThe 1975 Loving SomeoneThe 1975 Loving Someone meaningThe 1975 Loving Someone song meaningThe 1975 meaningThe 1975 NanaThe 1975 Nana meaningThe 1975 Nana song meaningThe 1975 ParisThe 1975 Paris meaningThe 1975 Paris song meaningThe 1975 Please Be NakedThe 1975 Please Be Naked meaningThe 1975 Please Be Naked song meaningThe 1975 She Lays DownThe 1975 She Lays Down meaningThe 1975 She Lays Down song meaningThe 1975 She's AmericanThe 1975 She's American meaningThe 1975 She's American song meaningThe 1975 Somebody ElseThe 1975 Somebody Else meaningThe 1975 Somebody Else song meaningThe 1975 song meaningThe 1975 song meaningsThe 1975 The Ballad of Me and My BrainThe 1975 The Ballad of Me and My Brain meaningThe 1975 The Ballad of Me and My Brain song meaningThe 1975 The SoundThe 1975 The Sound meaningThe 1975 The Sound song meaningThe 1975 This Must Be My DreamThe 1975 This Must Be My Dream meaningThe 1975 This Must Be My Dream song meaningThe 1975 UGH!The 1975 UGH! 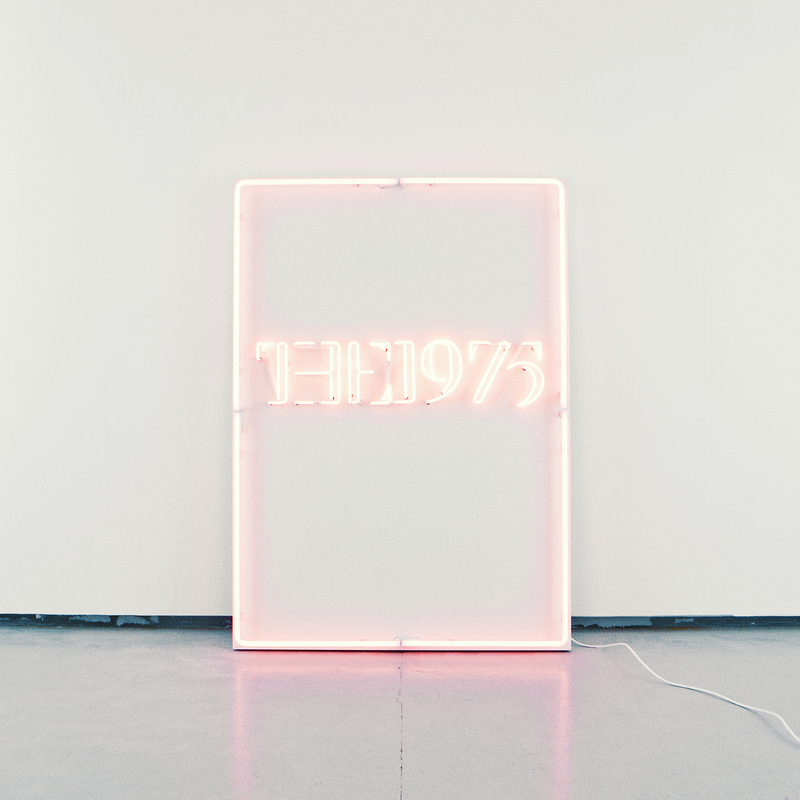 meaningThe 1975 UGH! song meaningThe Ballad of Me and My BrainThe SoundThis Must Be My DreamUGH! Editorial: Are We Ready for Two Door Cinema Club’s Return?